Merry Christmas! 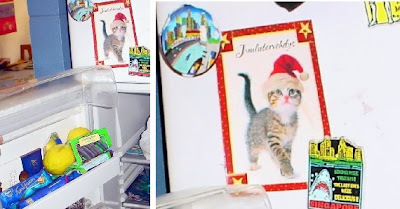 On the fridge door a card from from Timo's mum in Finland, and in the fridge some chocolate that she sent for Nancy's birthday in October. Nancy is so good at keeping chocolate. But Timo isn't. I have a strong urge inside me that tells me destroy all the yummy goodies as soon as possible, or otherwise they get spoiled or someone else eats them all. 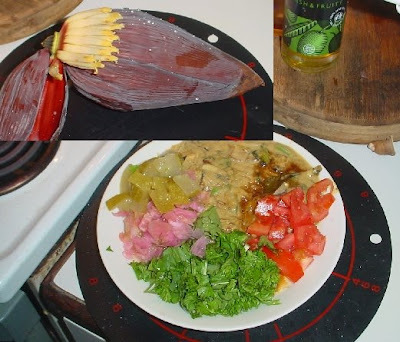 My Christmas food :) I washarvesting some sweet leaves (Sauropus androgynous) in order to make cuttings for my ny sweet leaf garden. I got lots of leaves and was storing them for later use. Those leaves taste very good, and they are also very healthy. They contain lots of protein and vitamin K. They are just excellent food fro a vegan. 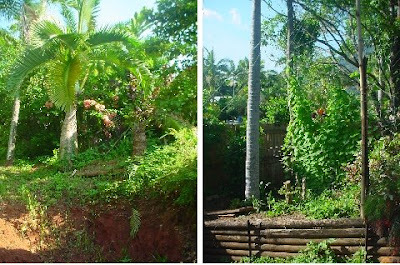 The tree (or scrub) grows fast and it's so easy to take care of it. 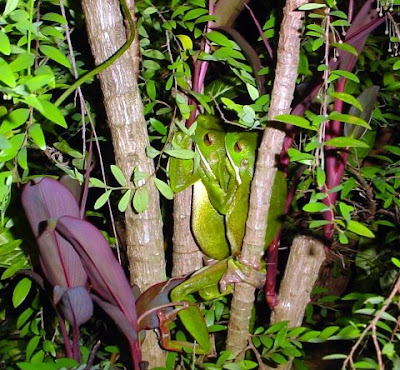 We got green tree frogs in our garden. They are cute though noisy. 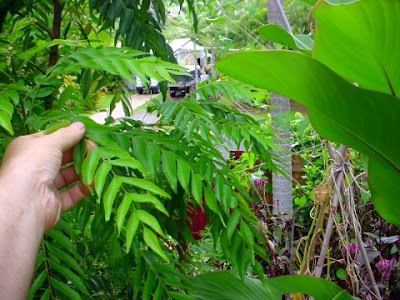 We also have a curry leaves tree growing in the garden. So nice fragrant and taste. The duck pond needs constant attention. Sometimes a cane toad is killed by a bird and dropped in the pond, and they start smelling. 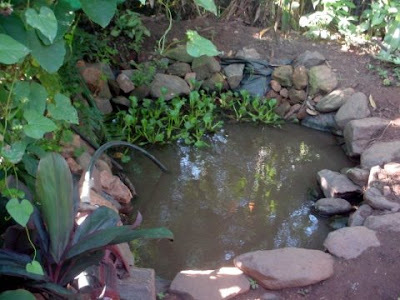 There is some fish living there and they eat all the mosquito larvae. Eh, and the ducks sometimes swim there too. A snake! just a python. There are a few of them all the time. 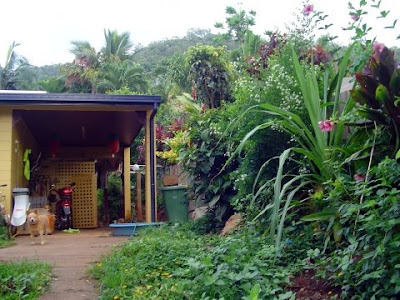 Want to grow a jungle next to the fence line. 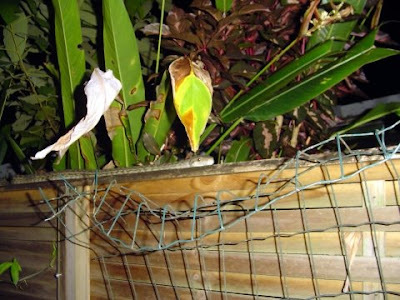 In our garden again: palm trees, Bangkok rose, luffa. 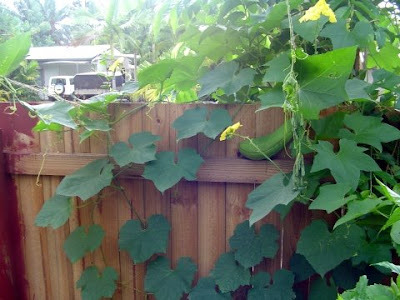 Luffa gives cucumber-like fruits and when you let them grow old you can use them as bathing sponges. In December we harvested lots of luffas. 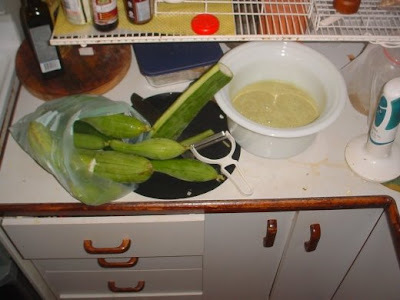 Timo was pickling them for later use. Still some cucumbers also ready for harvest. 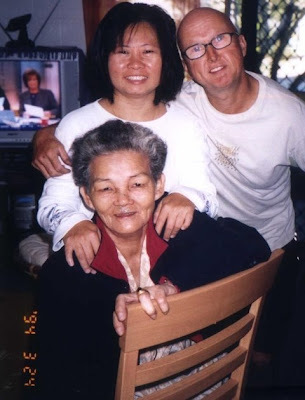 In loving memory of Ah ma (1925 to 9/11/2008). This picture is from 2003 when she visited us. 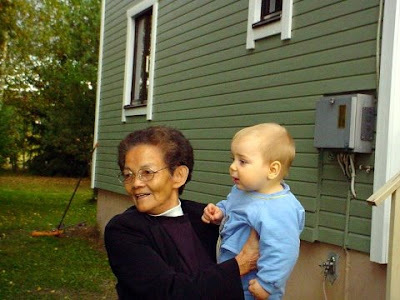 In 2002 she visited Finland with us. 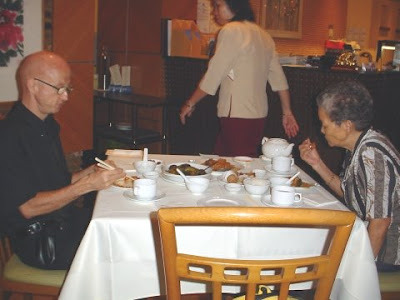 Mothers day lunch in a Chinese vegetarian restaurant in Singapore. 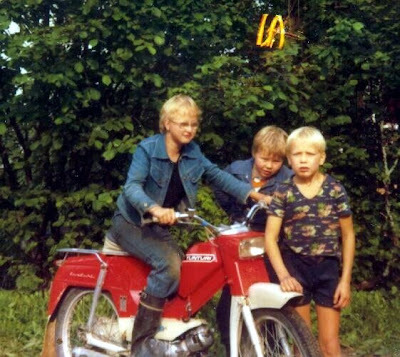 Timo with brothers in 1977. 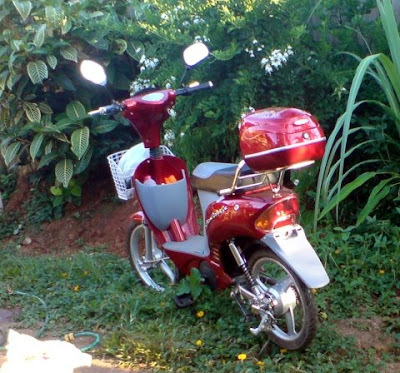 Nice red moped. 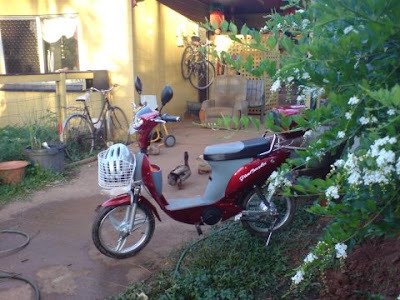 The Finnish moped reached 45 km/hour (and when tuned even more) but this one goes only 25 km/hour. 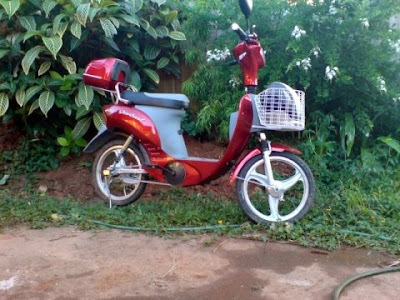 Engine is not very powerful, only 200w that is maximum by the Australian law. You can't really ride up hill with this. 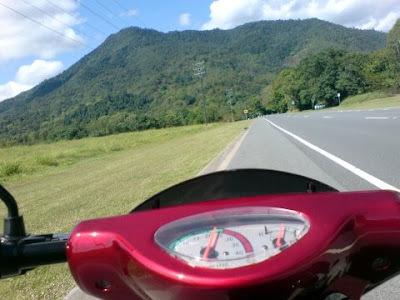 Riding to Kuranda is out of question. But it's practical compared to regular bicycle. When you go somewhere you don't have to take shower after the ride. And it's so cute. The brand is Giacarlo and it's been made in China. I read that there are over million scooters like this in Shanghai. Can't say our garden is well looked after or tidy. 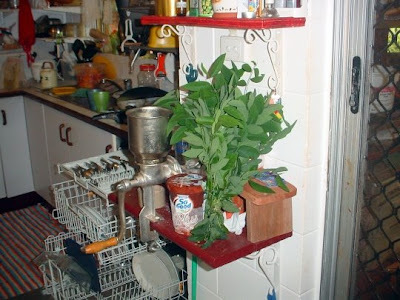 But we still dedicate much energy to taking care of it and want to grow our own veggies and herbs as much as possible. Timo runs so fast. 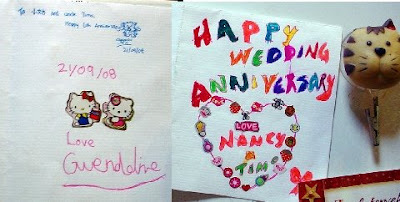 September 21st (and October 12th) was our 6th wedding anniversary. And we got this lovely card. Thank you Gwen! Eating banana flowers. 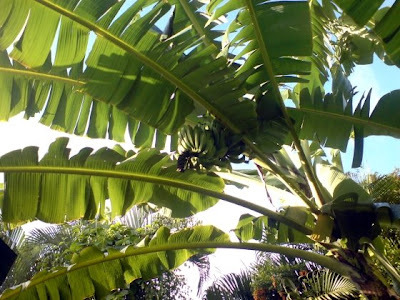 We have a few banana plants in our back yard. You can eat the flowers before they go bananas.